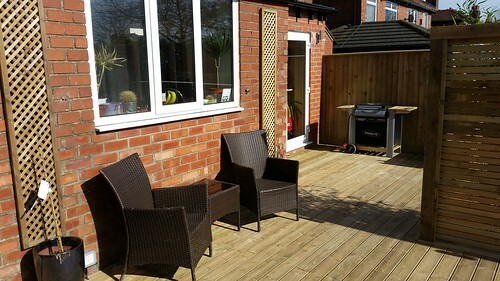 A garden decking and artificial lawn project in Macclesfield. 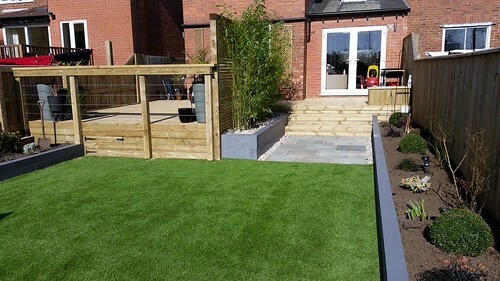 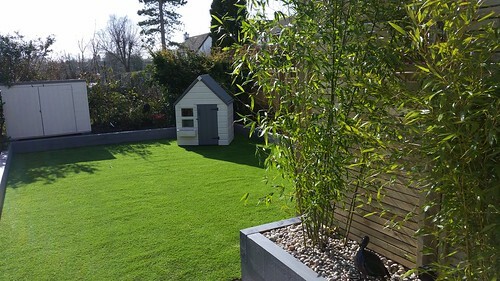 This landscaping project in Macclesfield, Cheshire completley transformed the clients garden from a waterlogged boggy lawn to a family friendly, modern outdoor room. 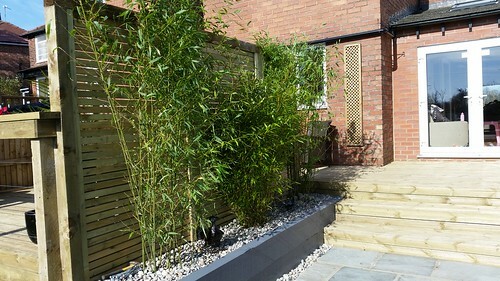 Our client was keen to use our in house landscape design services so they could visualise how the new garden would look.This allows us to work with our clients all the way through the project, meaning they dont have to spend time searching for landscapers in Macclesfield to build their garden based on a thrid party design. 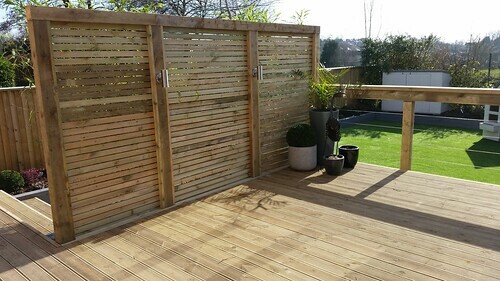 The clients brief was: a family friendly space, with garden decking and enough space for some plants and colour. 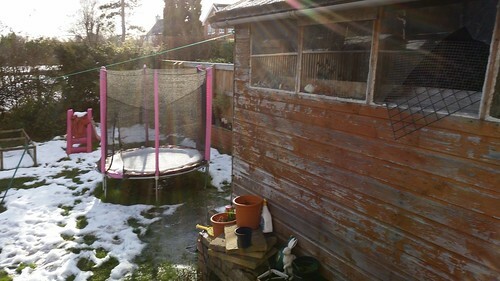 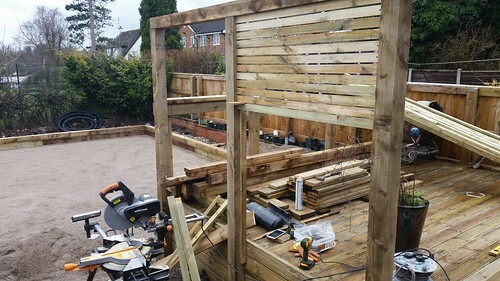 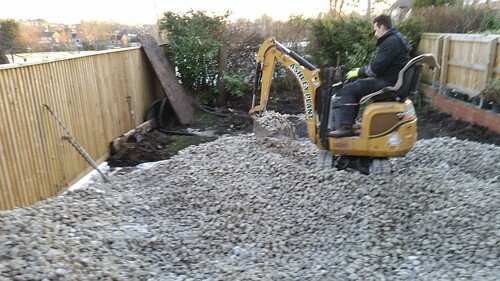 In order to construct this garden decking project in Macclesfield, Tommy and the Home Ground Landscape Gardening Team had to excvate over 30tonnes of ground to remove the poor waterlogged soil. 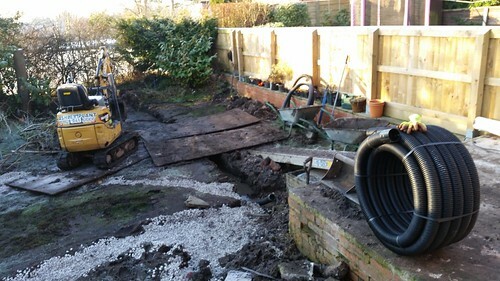 This was replaced by a garden land drain system and pump resevoir - removing the water from the garden. 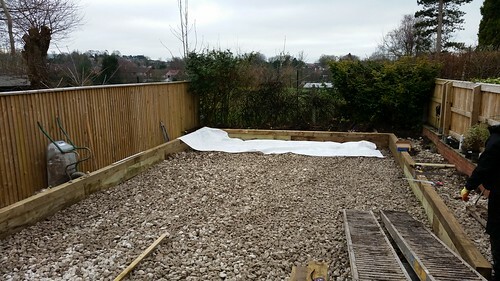 The ground levels were prepared using a loose binding 80mm clean aggregate to ensure the waterlogging does not occur again. 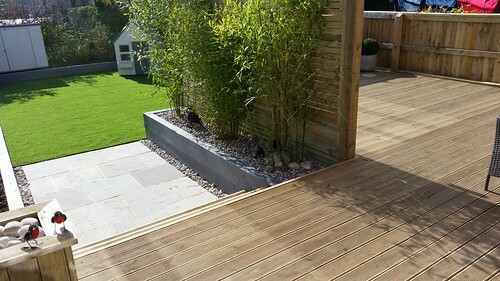 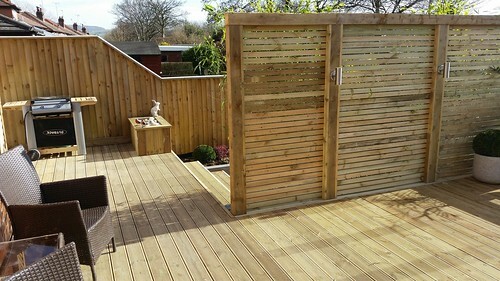 The new soft wood garden decking area was then constructed, providing the clients with a generous level area of dekcing in which to enjoy the summer sunshine. 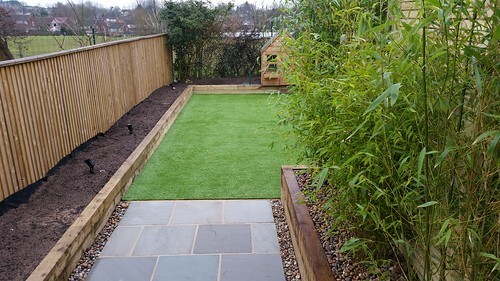 The raised natural sleeper garden beds provide plenty of space for seasonal colour. 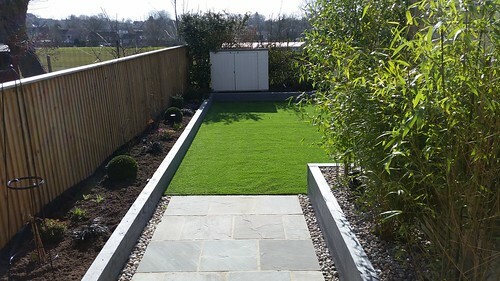 A small area of indian sandstone paving, bridges the garden decking and artififcal lawn, on this garden in Macclesfield. 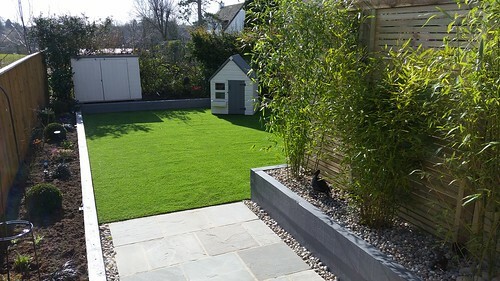 The artificial lawn or fake grass complete this landscaping project in Macclesfield. 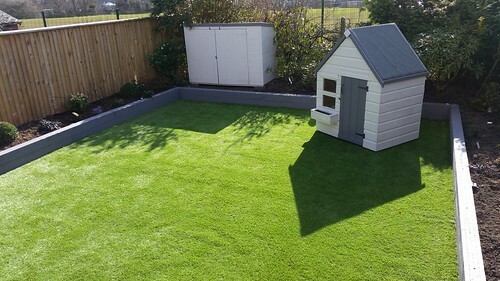 The artificial lawn provides a wonderful space for the clients young daughters to play all year round, alleviating any maintenance - it also means no more muddy foot prints walking into the house! 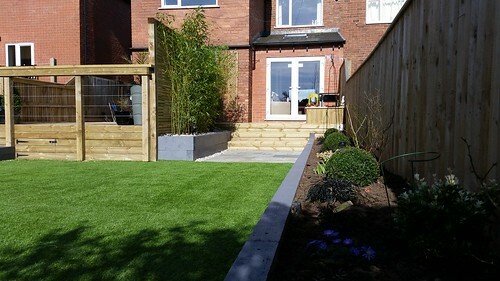 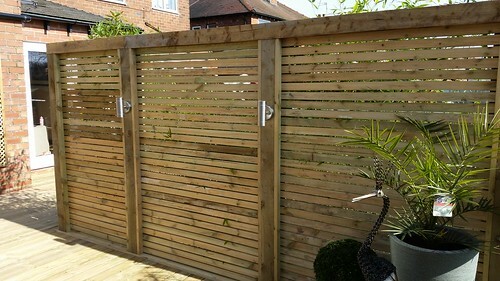 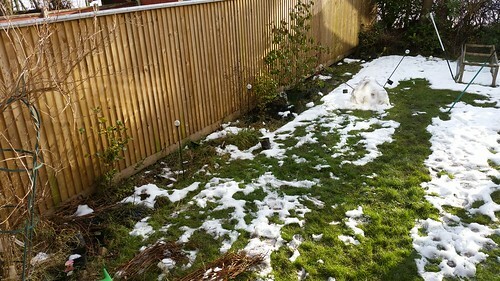 If you would like to find out more about our dekcing services in Macclesfield, or our Artficial Lawn services in Macclesfield visit us on line at www.myhomeground.co.uk - we provide a complete landscaping service for our clients in Macclesfield, Wilmslow and the surrounding areas of Cheshire.